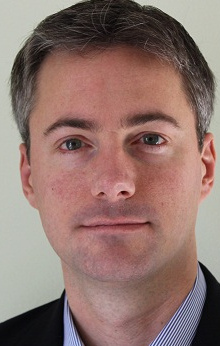 Minneapolis Mayoral candidate Cam Winton joined the show to talk various topics. They also discuss street cars and an upcoming project for Nicollet Mall in Minneapolis. Cam even shared his ‘colorful’ attack at the education debate. March in the NE Minneapolis Parade with Cam Tuesday! March in the Parade with Cam! Get a free Cam Winton T-Shirt! Location: Central Ave & 28th Ave.
To learn more about Cam, check out this interview! Cam is running for Mayor of Minneapolis and he will be speaking at the Picnic. If you have not met him or heard him speak yet, you really should. 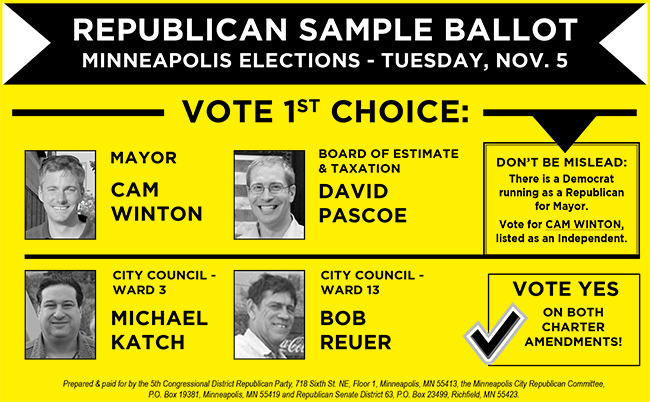 He has a great opportunity this year, since RT Rybek is stepping down, there are at least 6 DFL candidates and the election will be determined by Ranked Choice Voting. What does this all mean for Cam? Come to the Picnic and find out! Be sure to check out Cam’s website. 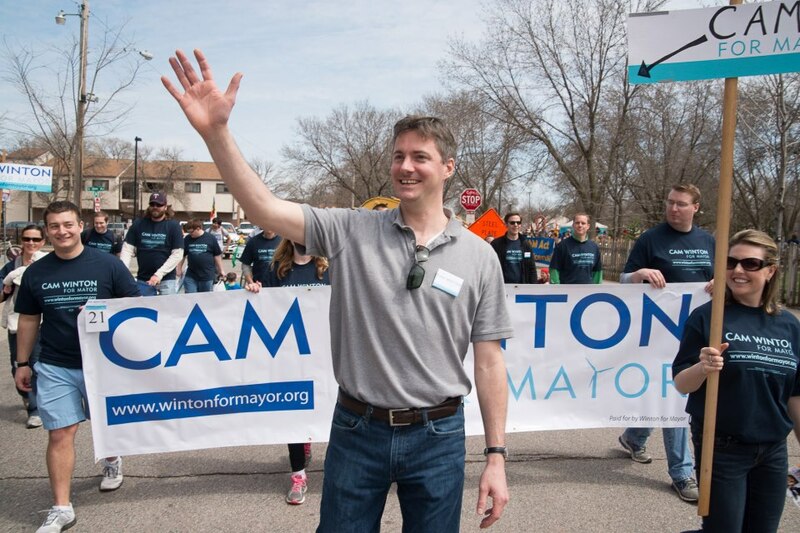 Cam Winton is an independent candidate running for Minneapolis Mayor. Mr. Winton will discuss how he proposes to address the challenges facing the City and to capitalize on its opportunities. The conversation will be moderated by Professor Larry Jacobs. This event is free and open to the public. The University of Minnesota is an equal opportunity employer and educator. To request disability accommodations, please call 612-625-5340 or email cspg@umn.edu. Who is Cam Winton? He appeared on The Late Debate, you can listen to the interview here. SD61 resident and energy corporation attorney Cam Winton has begun raising funds for a run to become the next mayor of Minneapolis. Cam Winton, 34, was an executive with Minnesota-based Outland Energy Services until Duke Energy Corporation purchased the company this past November. 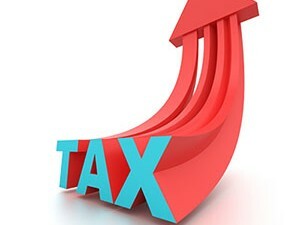 He and his wife, Emily live in SD61 for about five years and have two young children. Cam will be speaking at the Convention on February 6th. His campaign website is wintonformayor.org. The Southwest Journal interviewed Cam, you can read the article here.